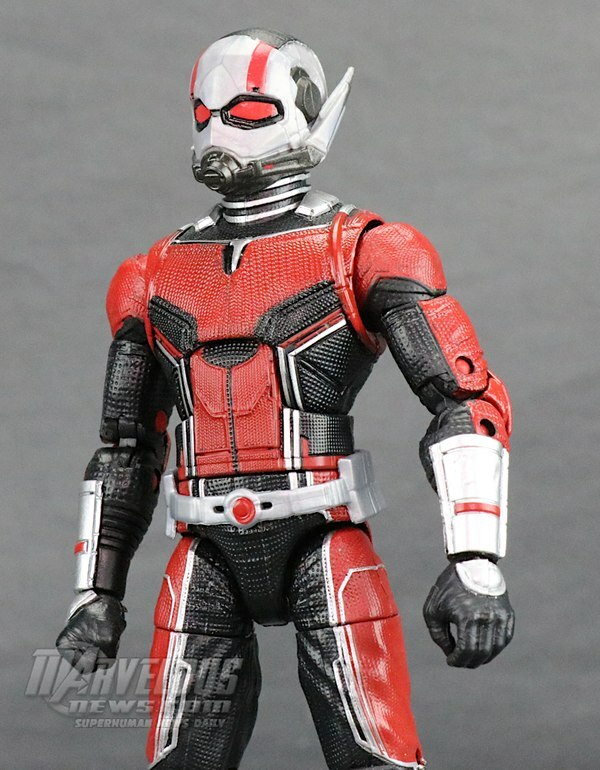 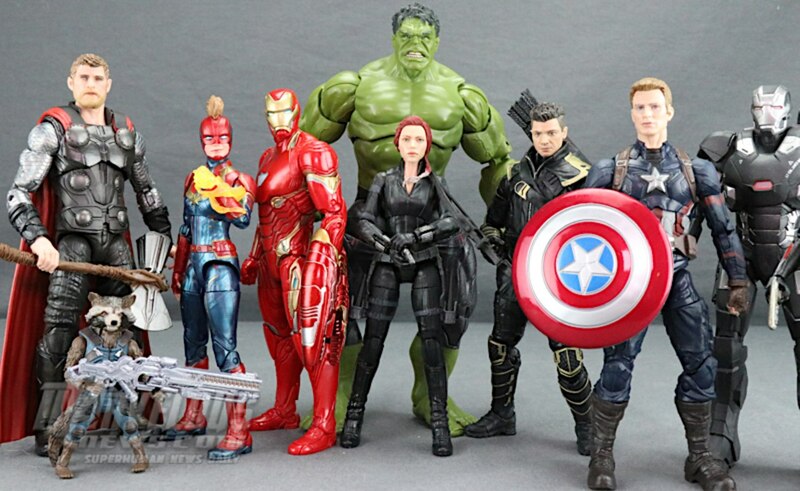 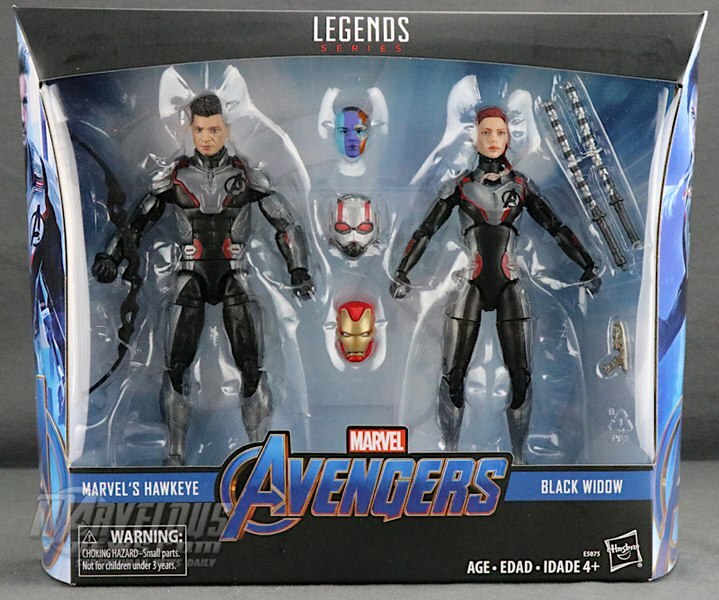 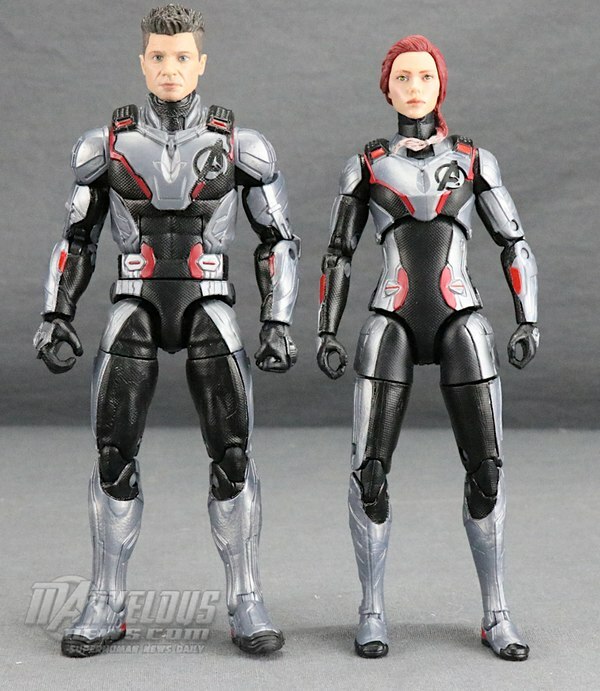 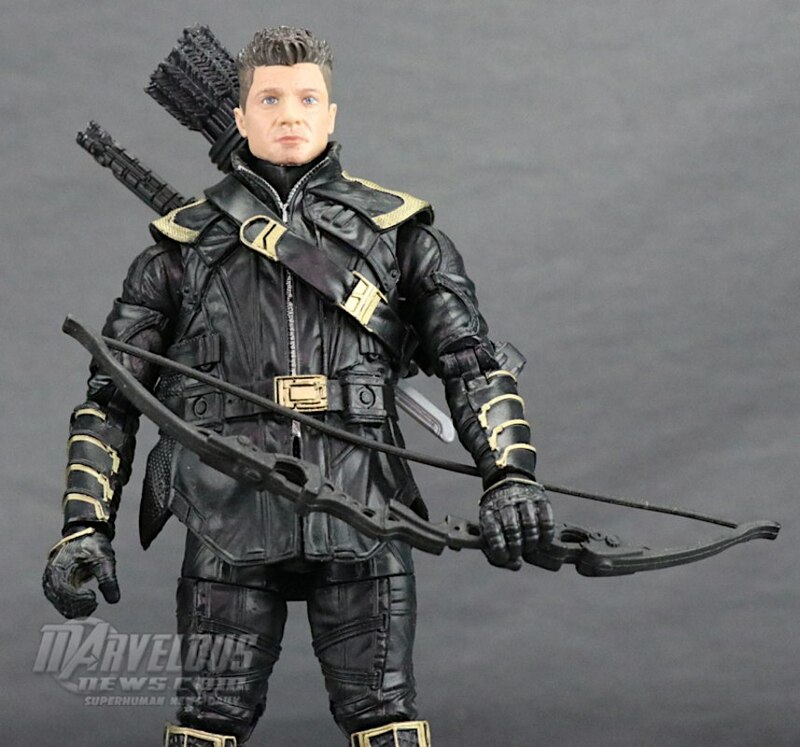 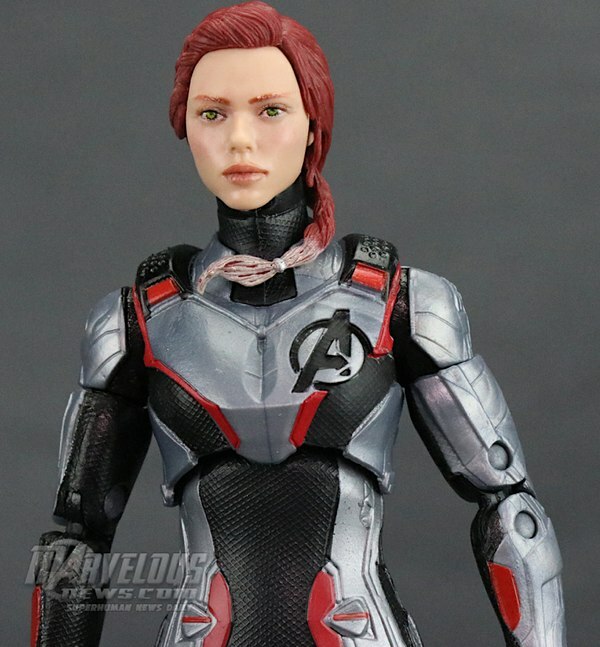 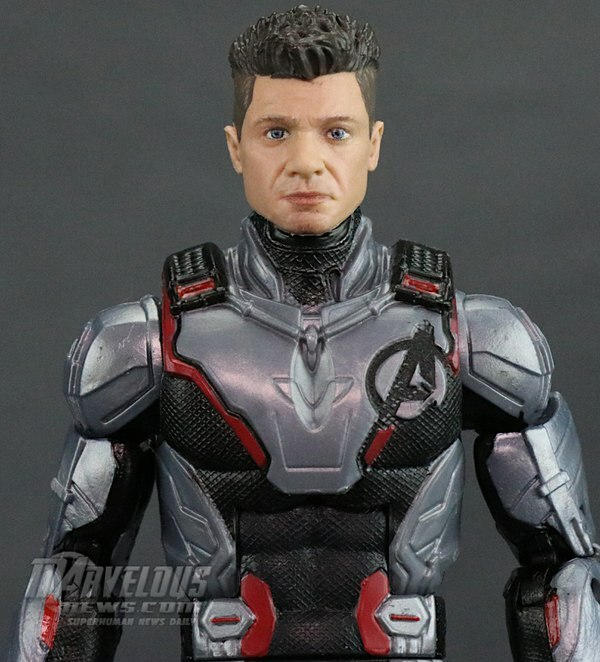 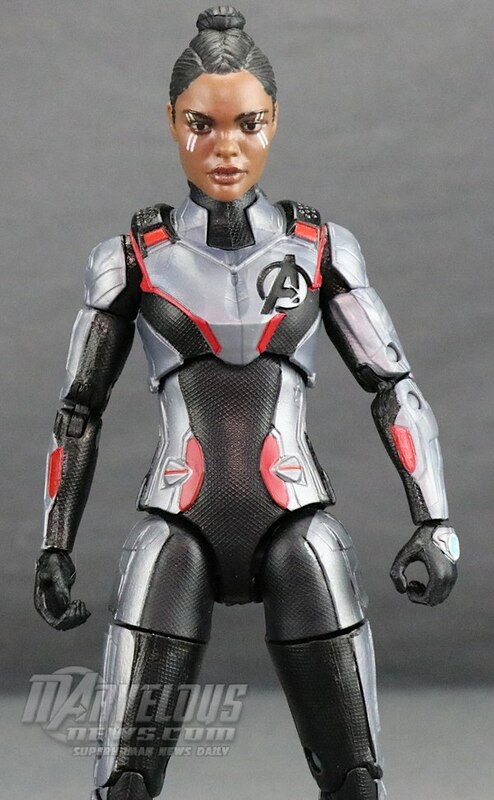 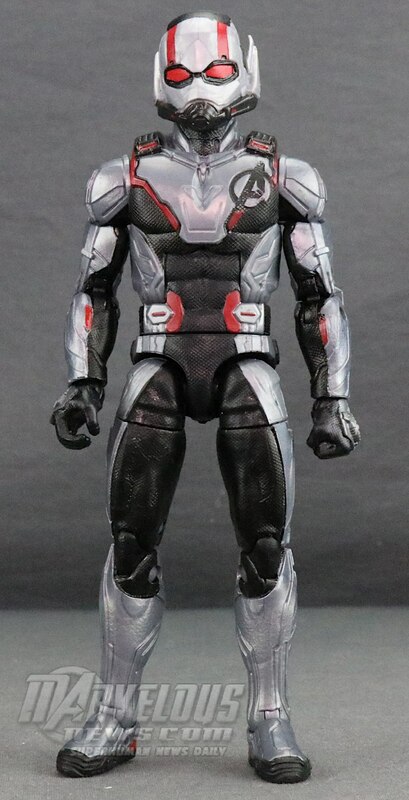 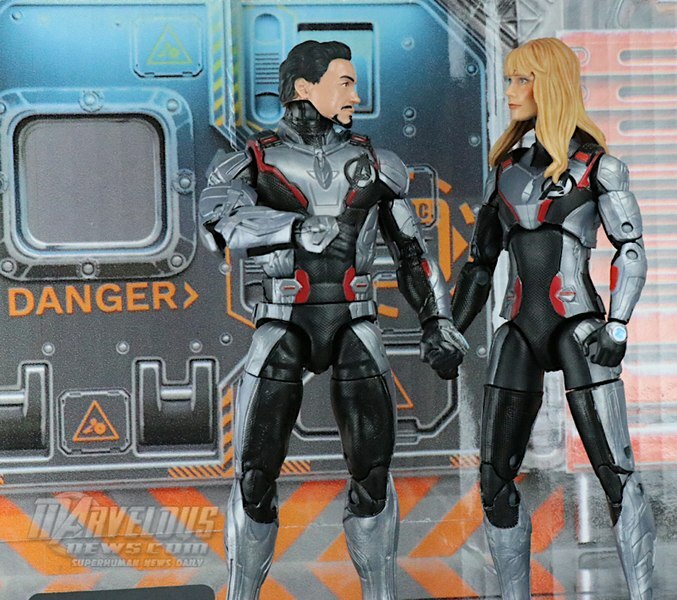 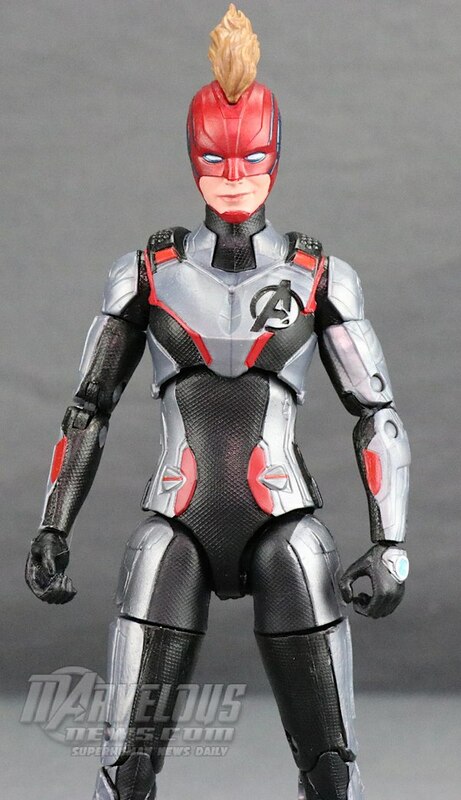 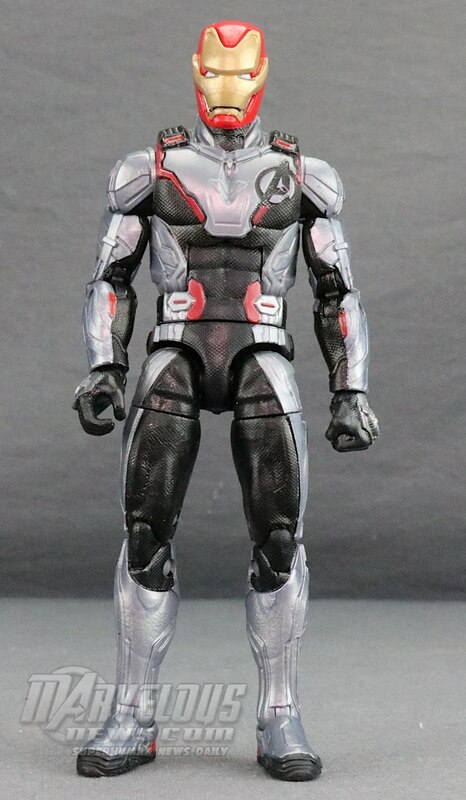 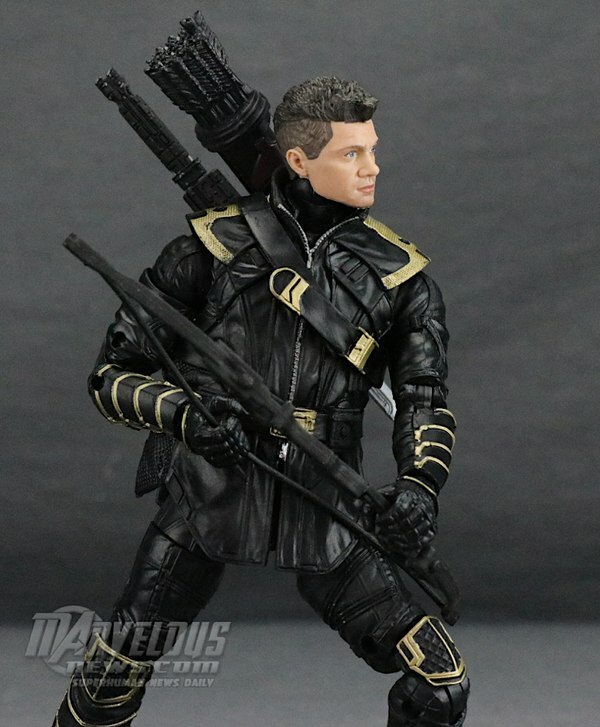 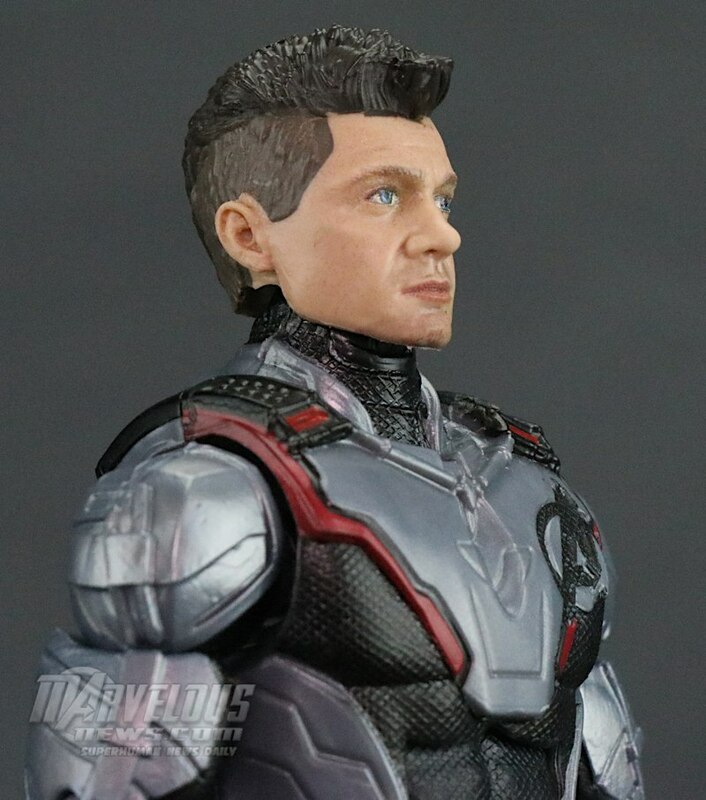 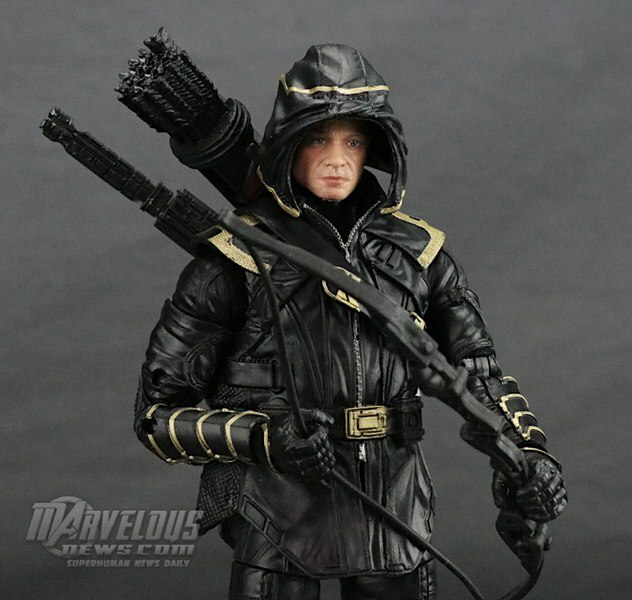 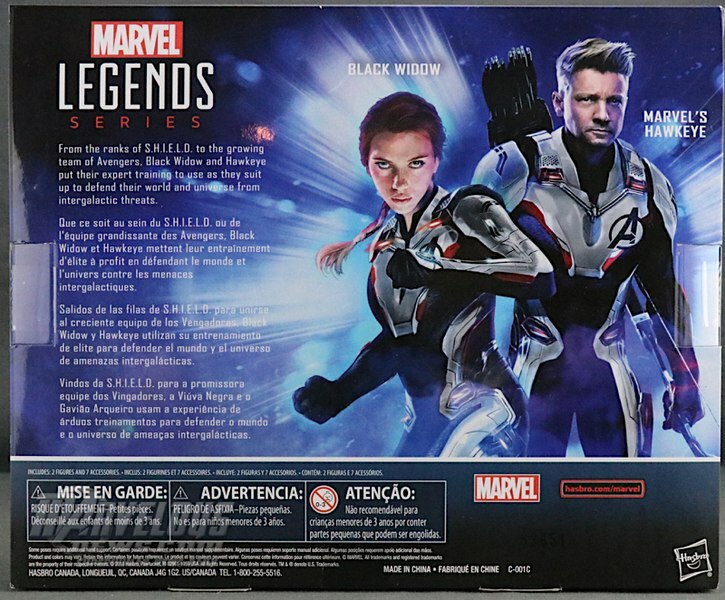 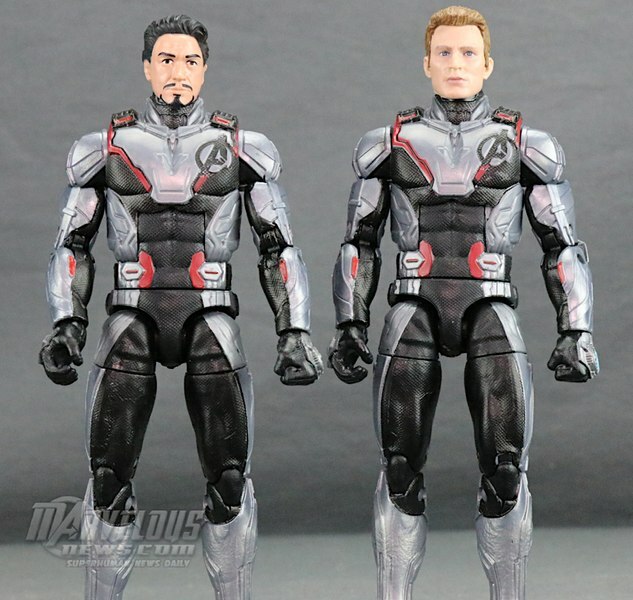 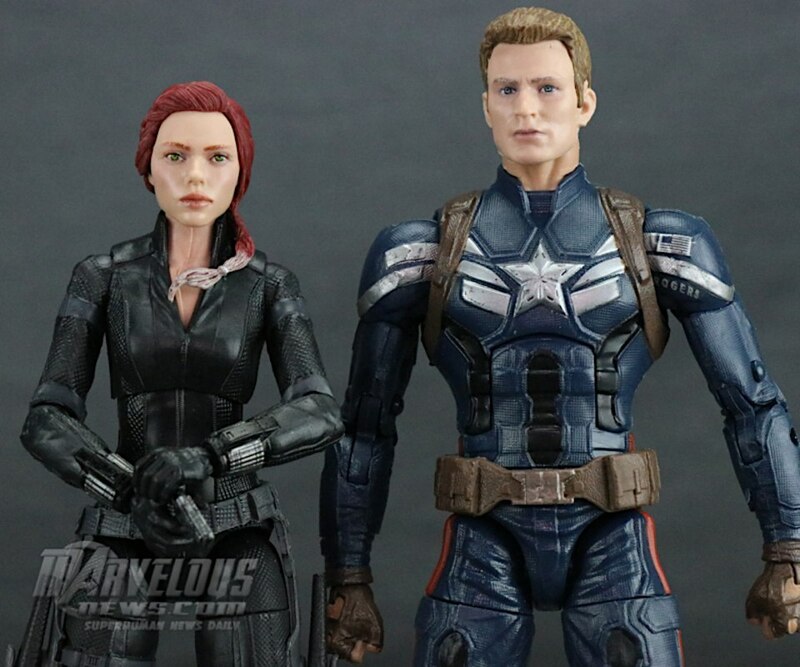 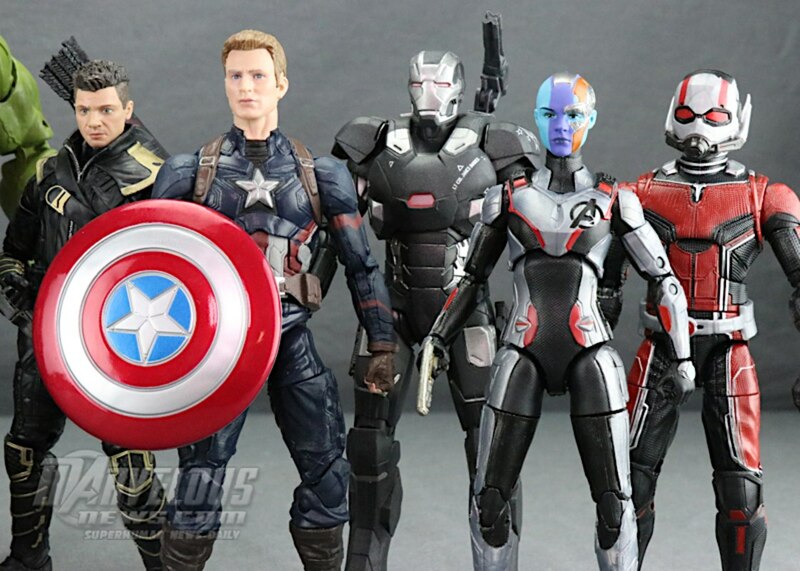 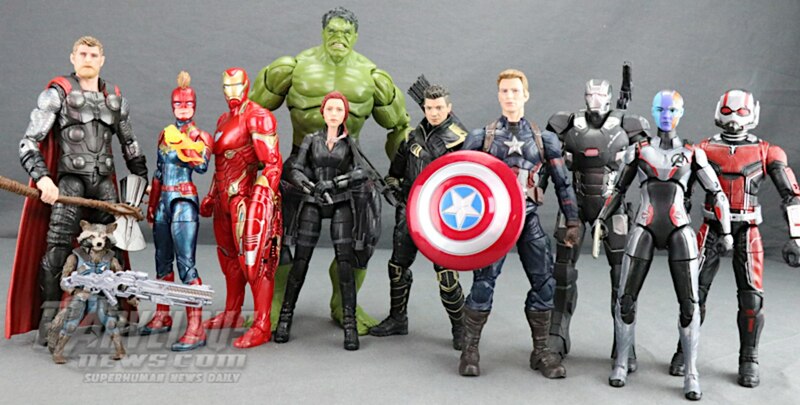 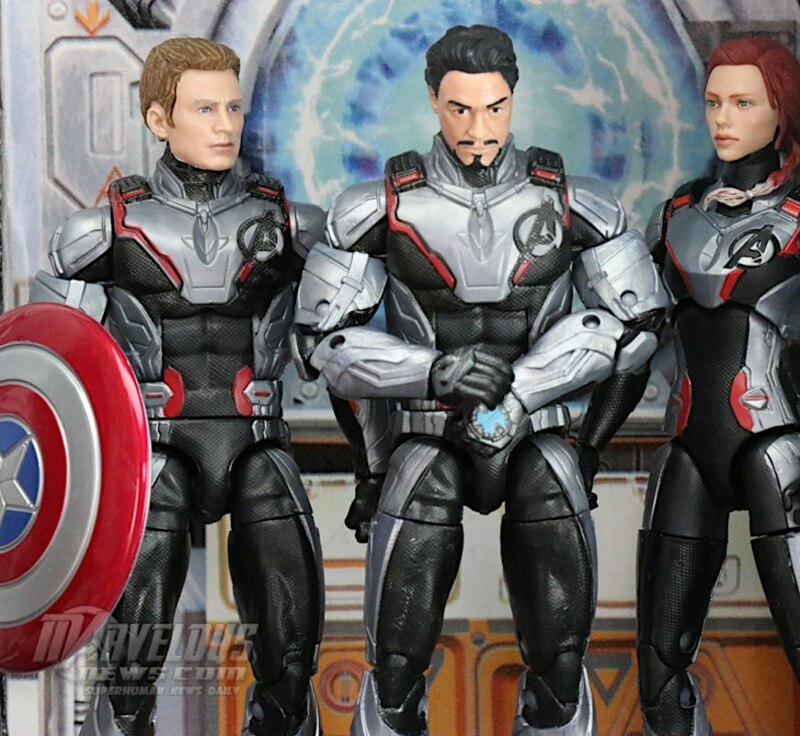 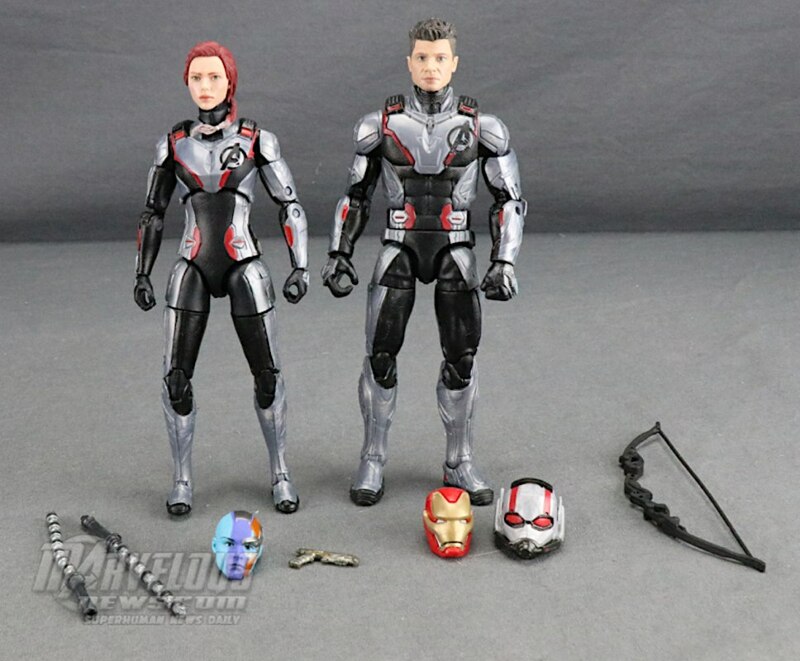 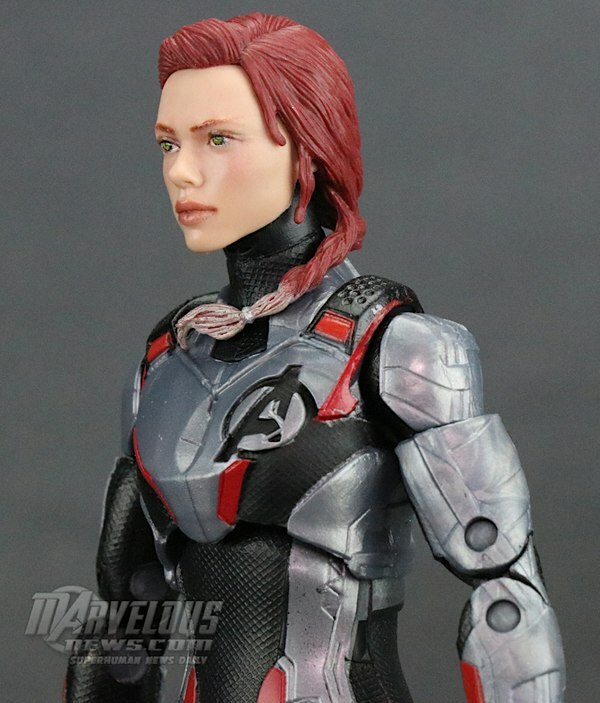 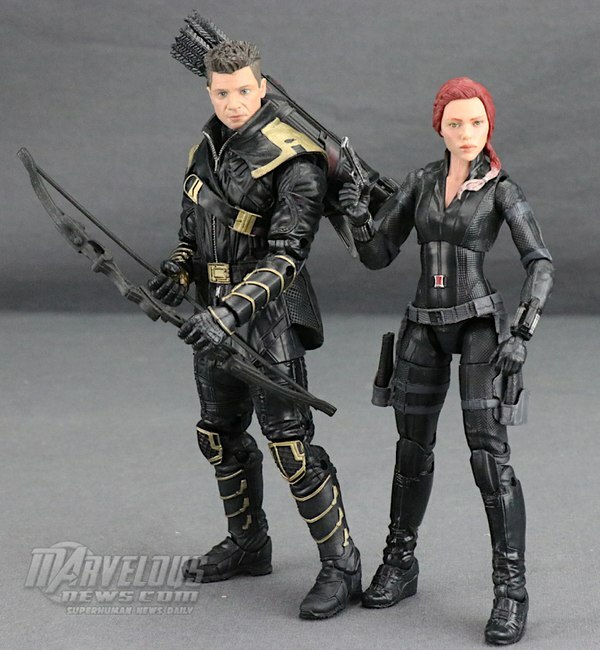 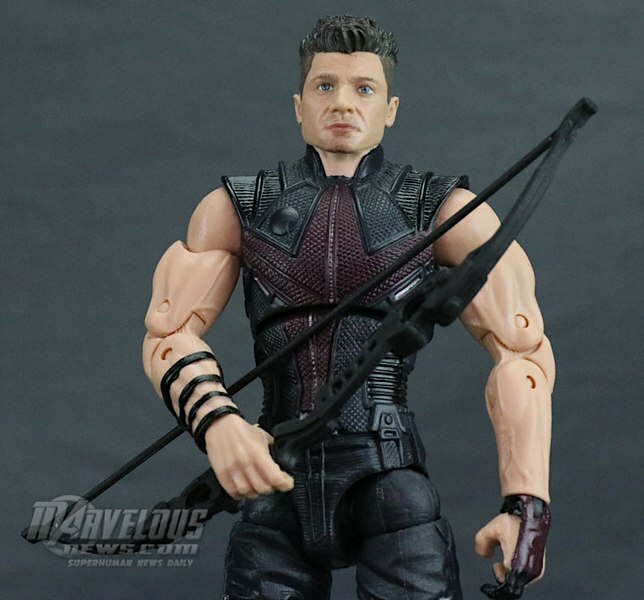 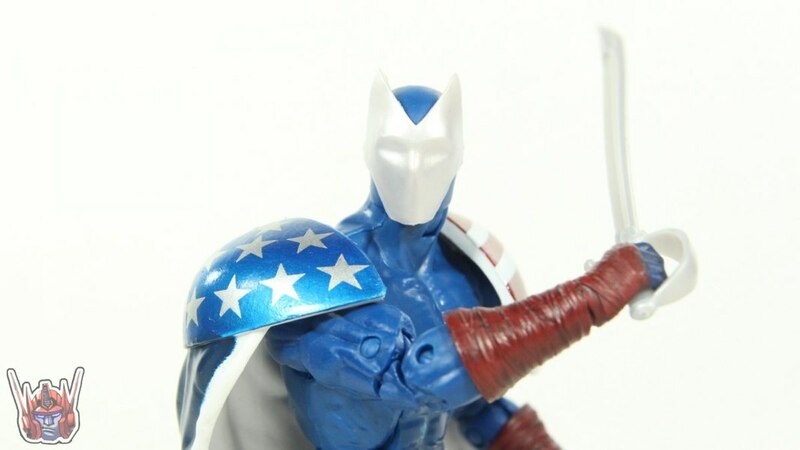 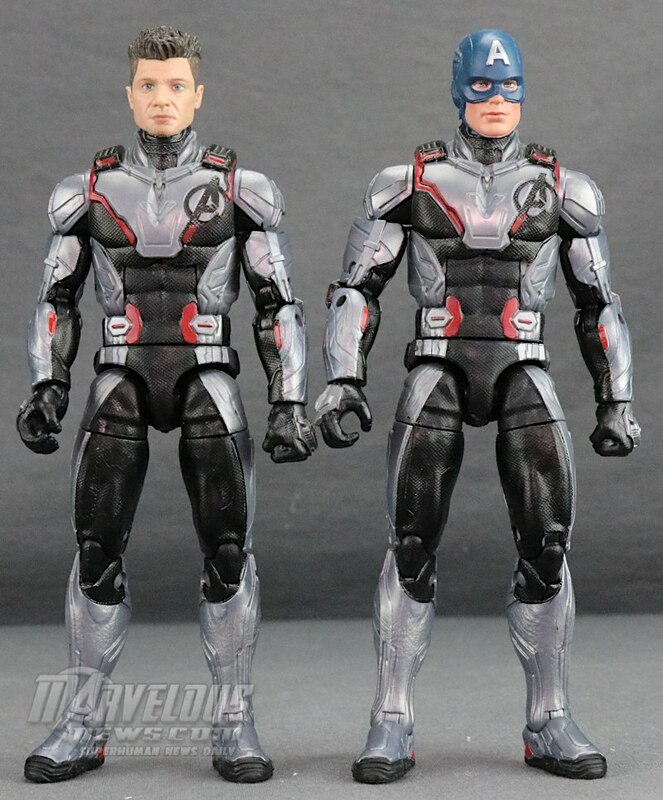 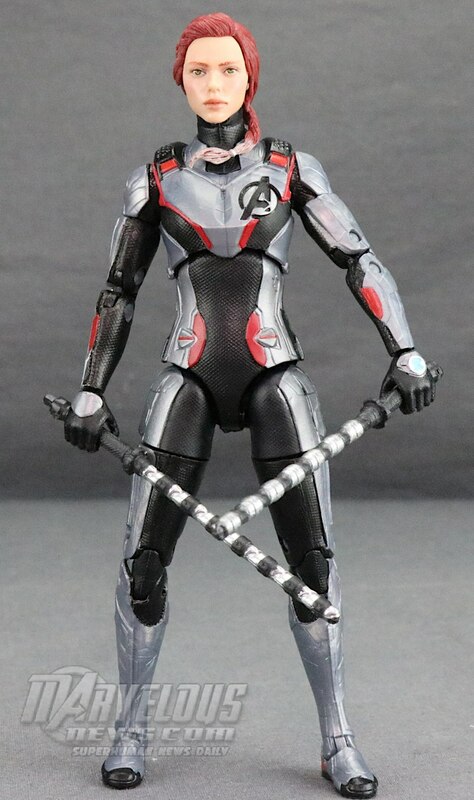 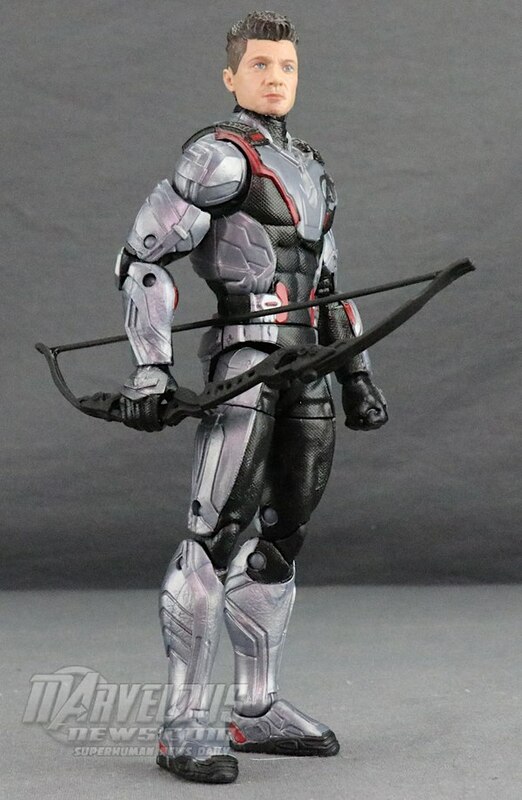 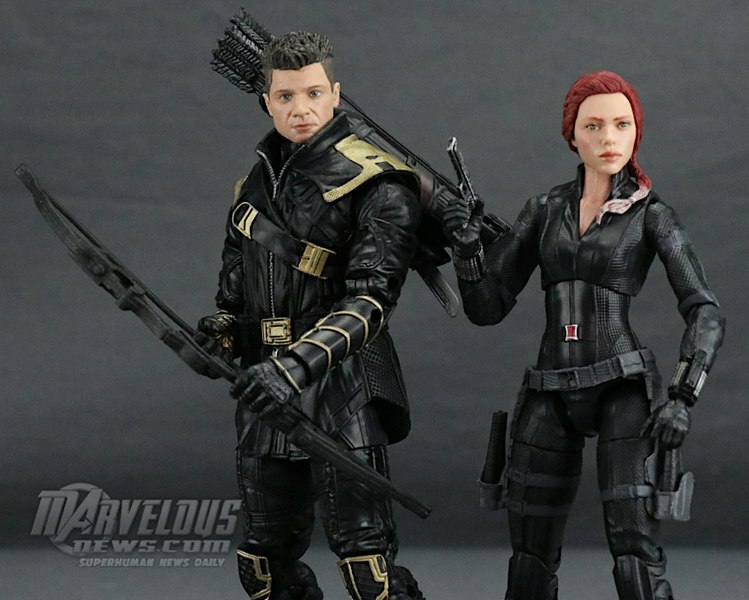 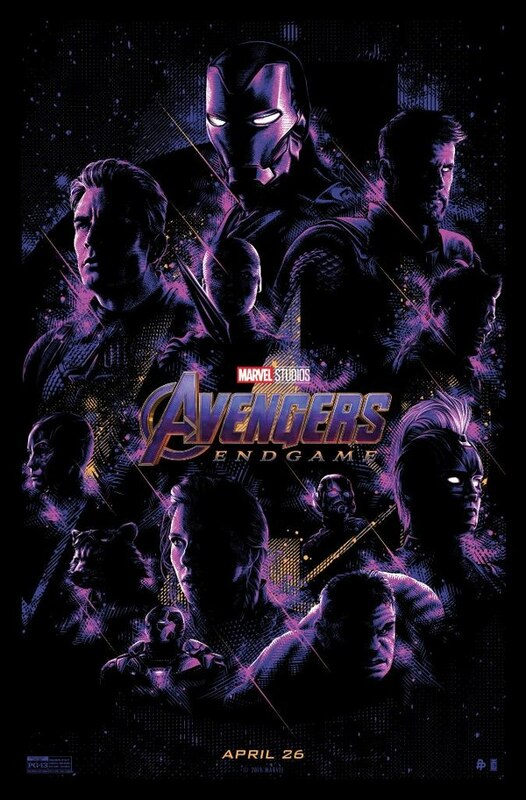 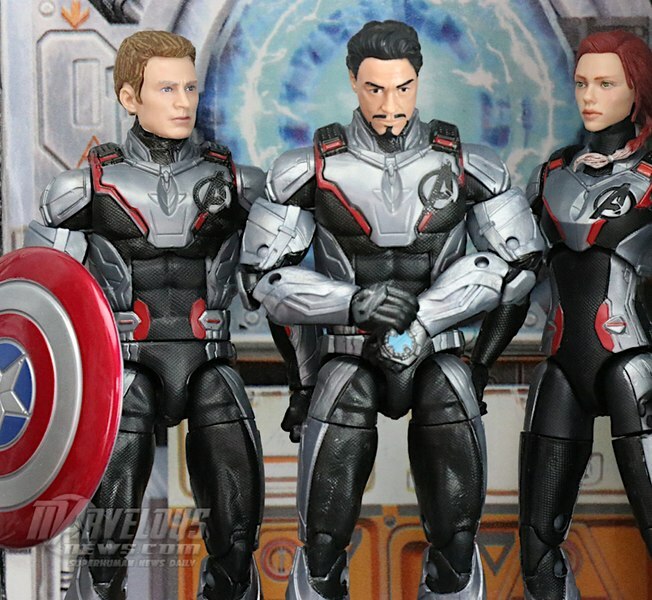 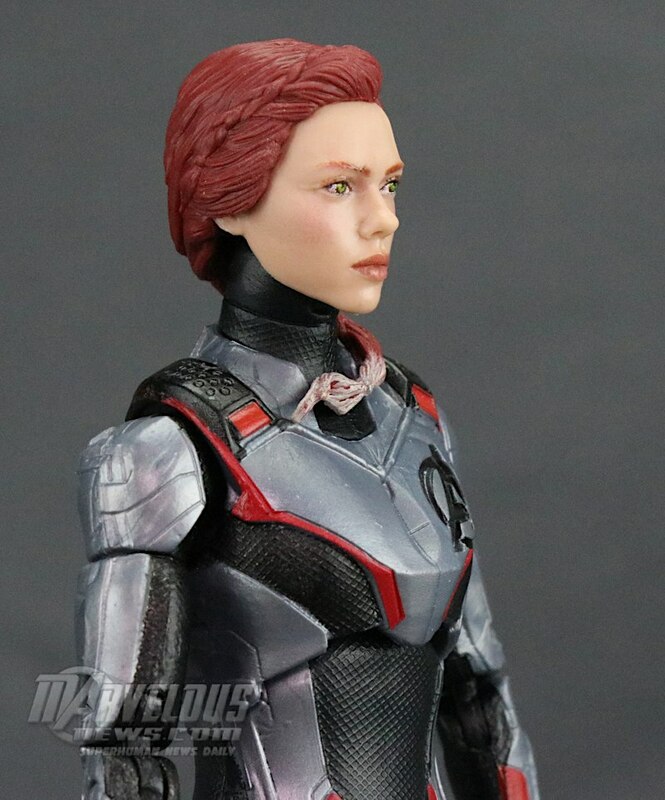 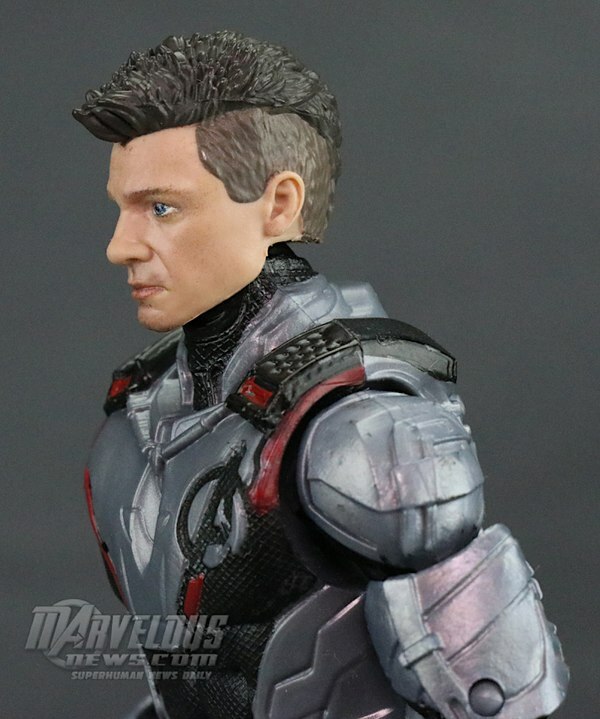 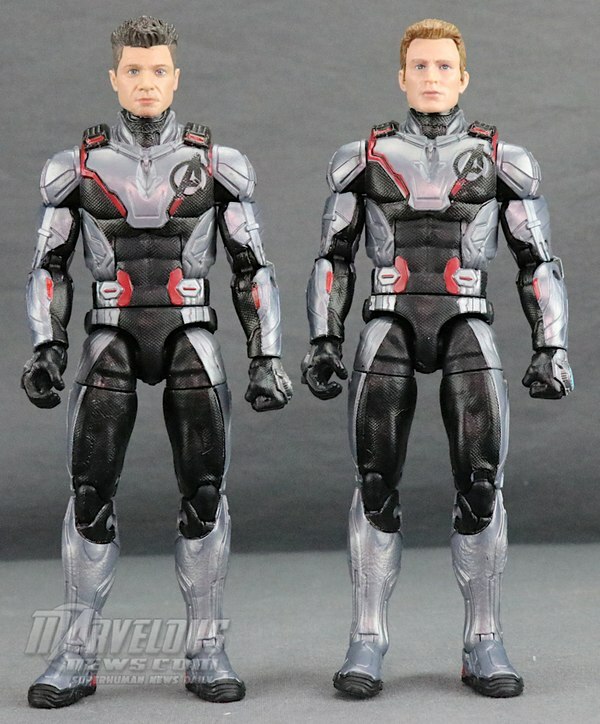 Today I take a look at the new Avengers: Endgame 6" Marvel Legends Target store exclusive 2-Pack with Hawkeye and Black Widow figures from Hasbro. 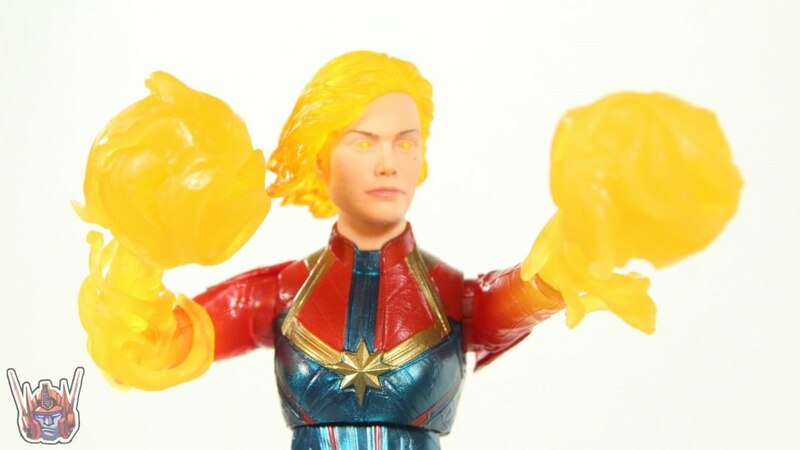 The DPCI for this set is 087-16-0326. Check out images for this set below in our GALLERY and let us know your own thoughts on this set in the COMMENTS SECTION. 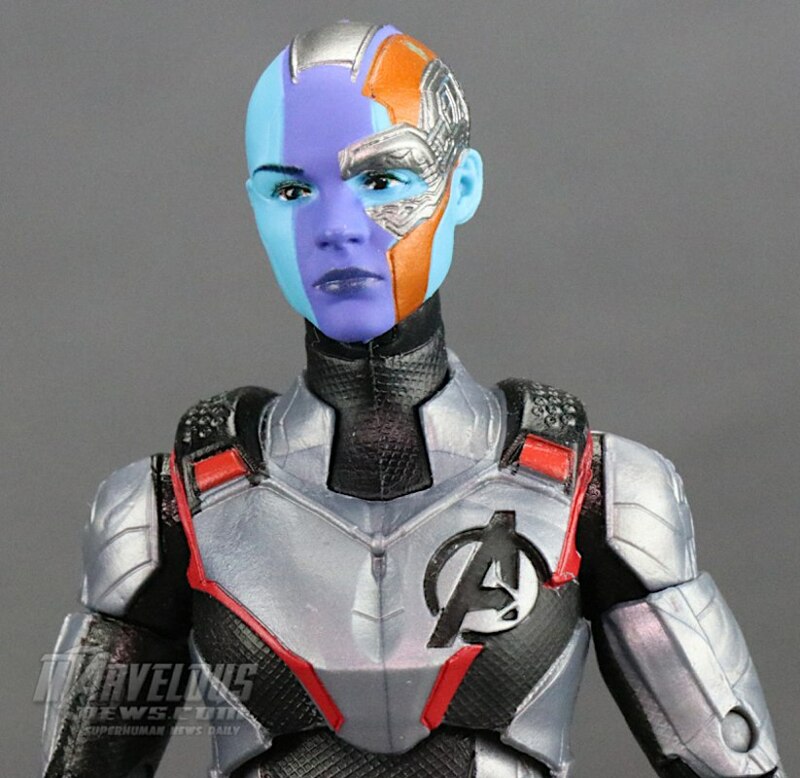 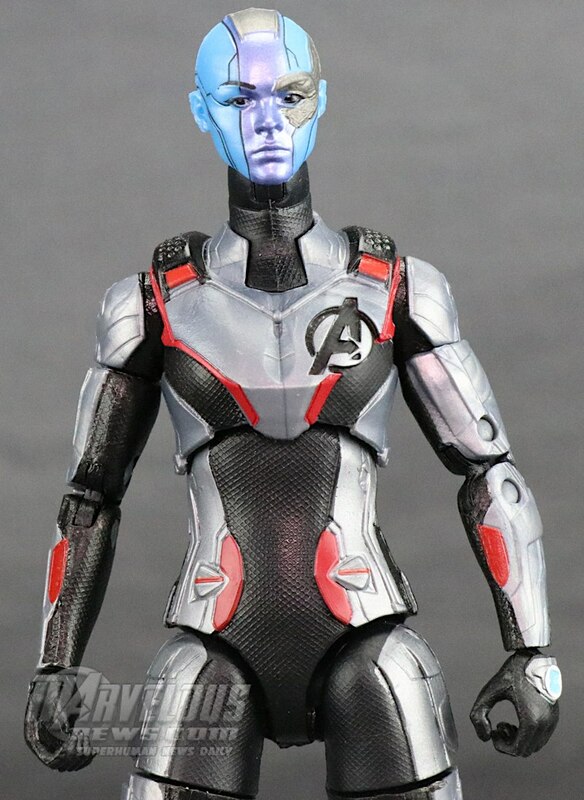 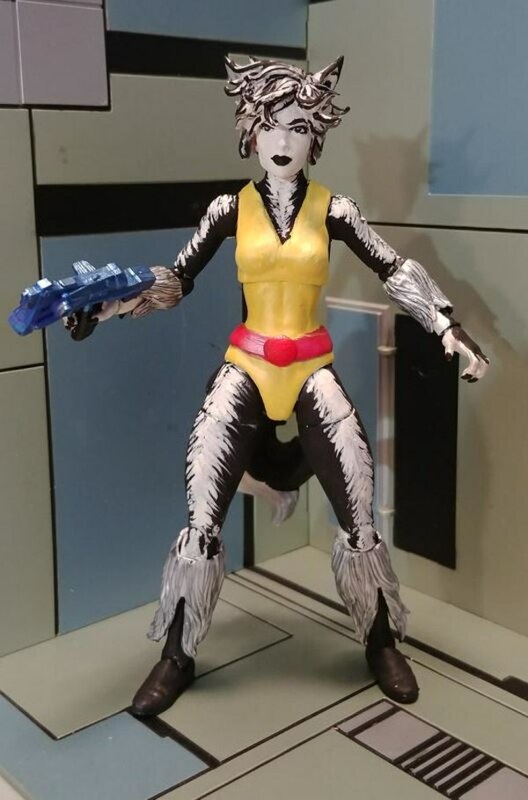 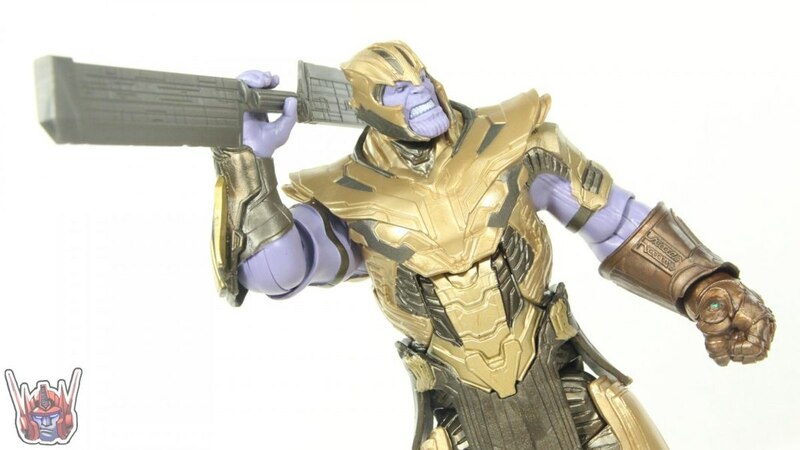 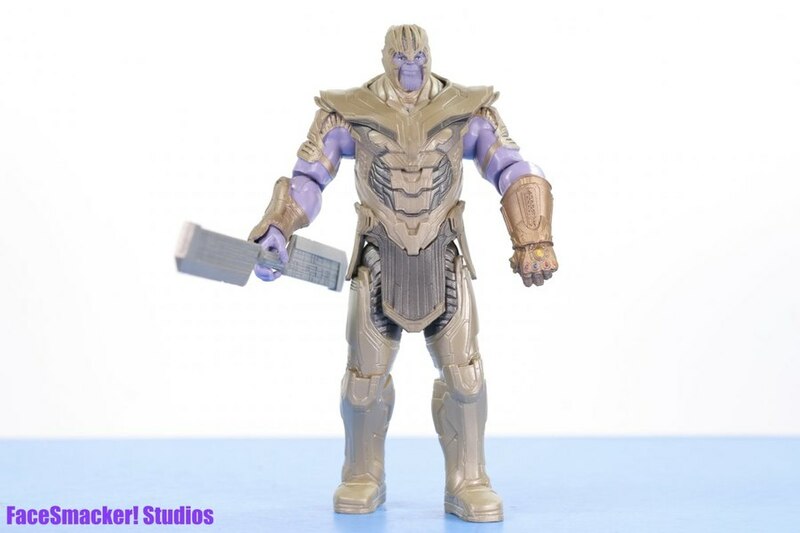 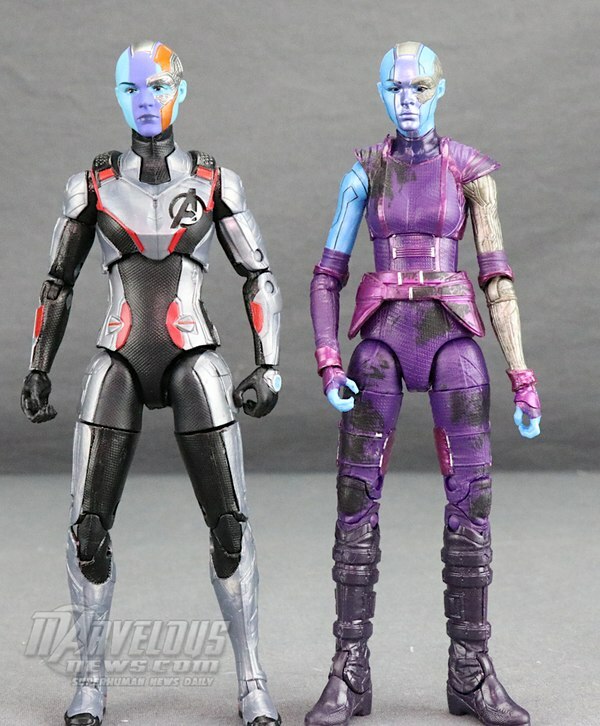 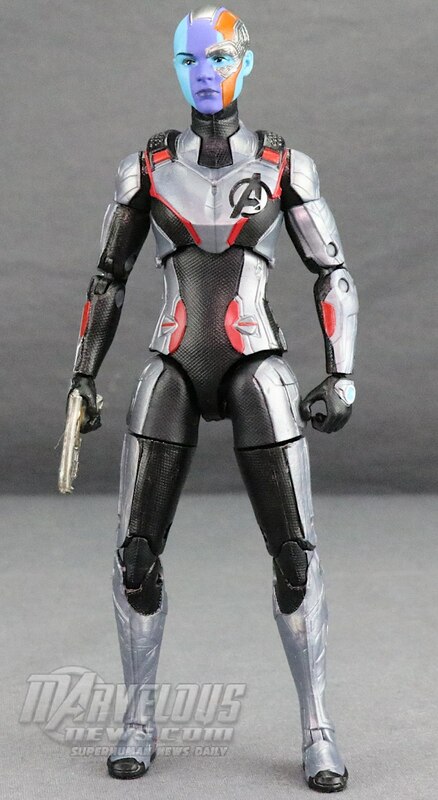 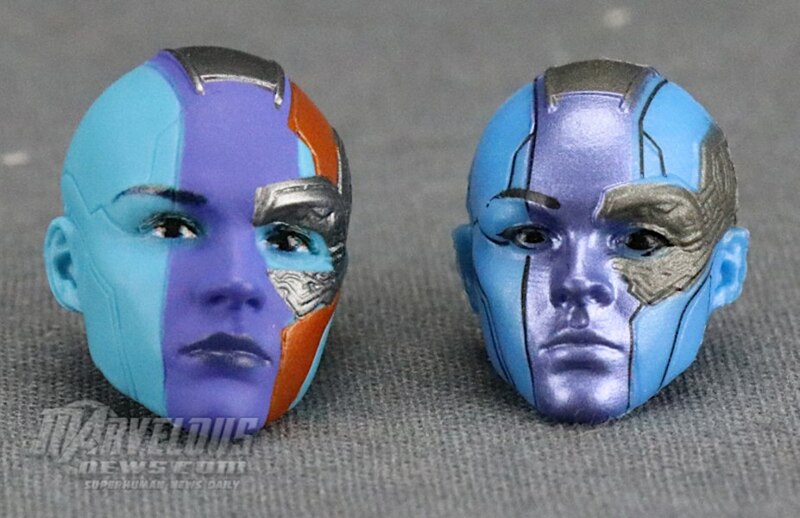 the gun included in the set is simply Nebula's to go with the figure when you have the Nebula head on the body. 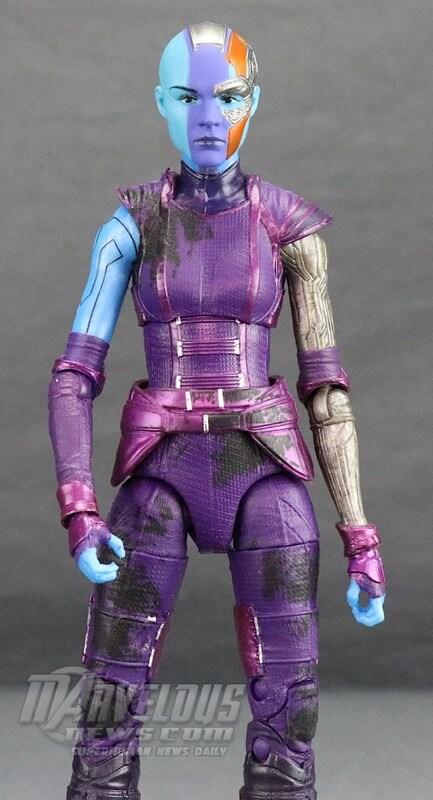 Its the same one that came with the GOTG Nebula figure. 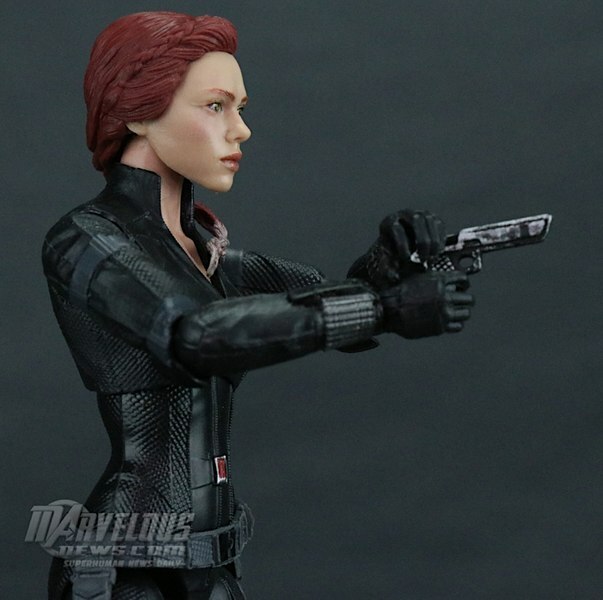 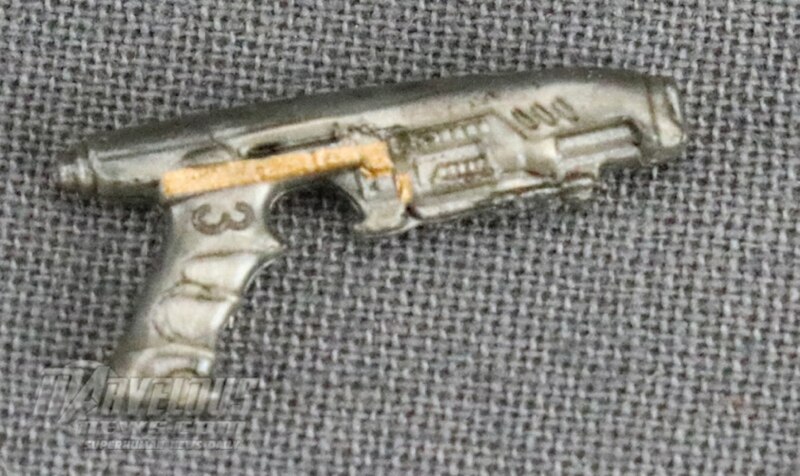 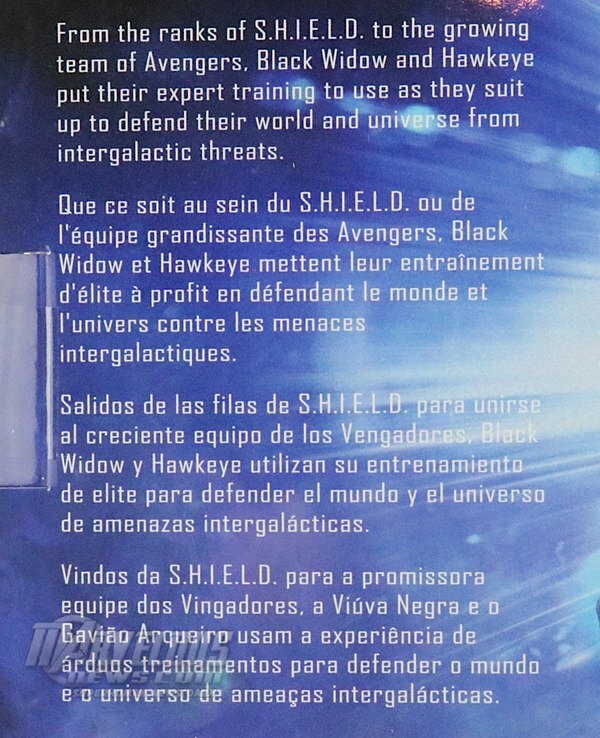 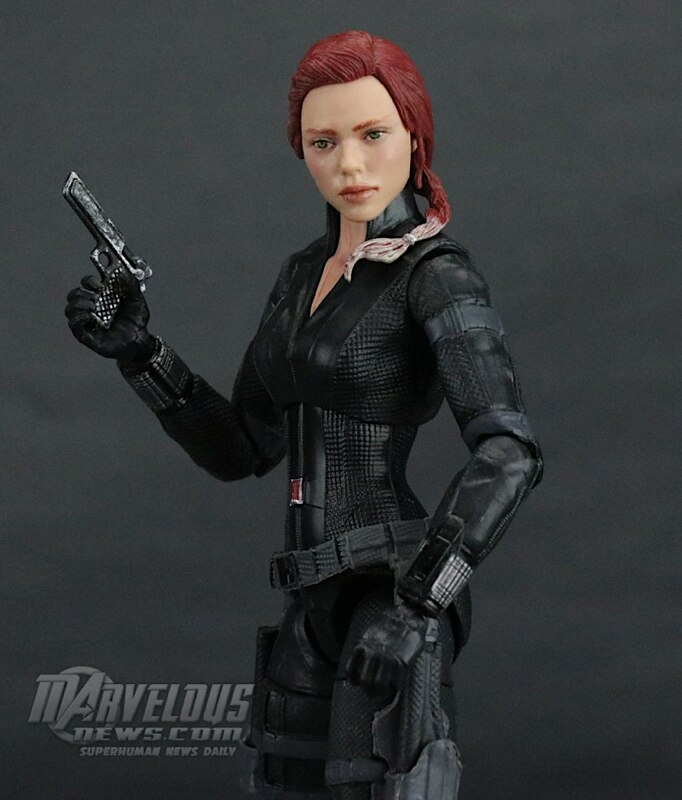 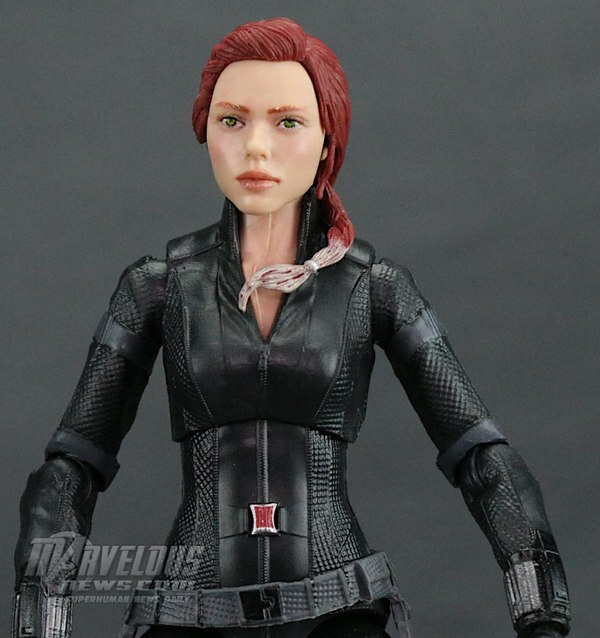 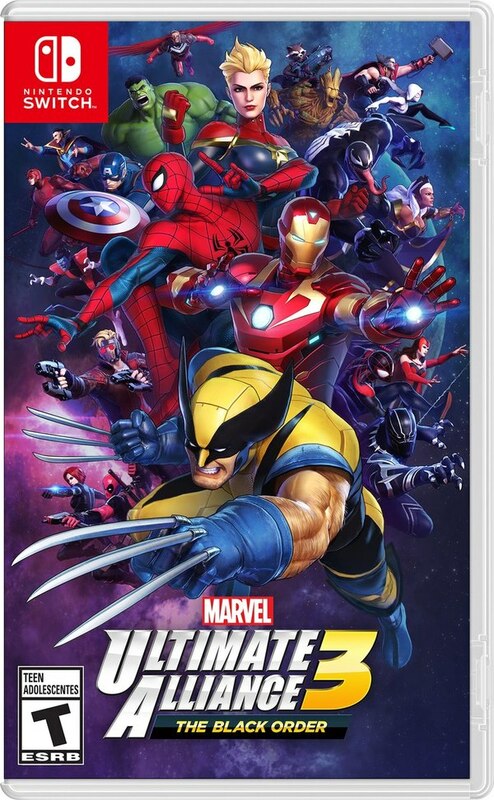 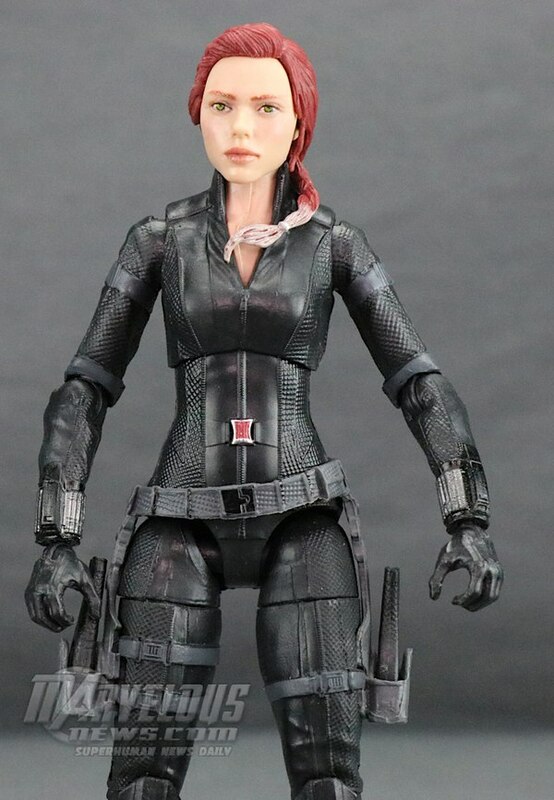 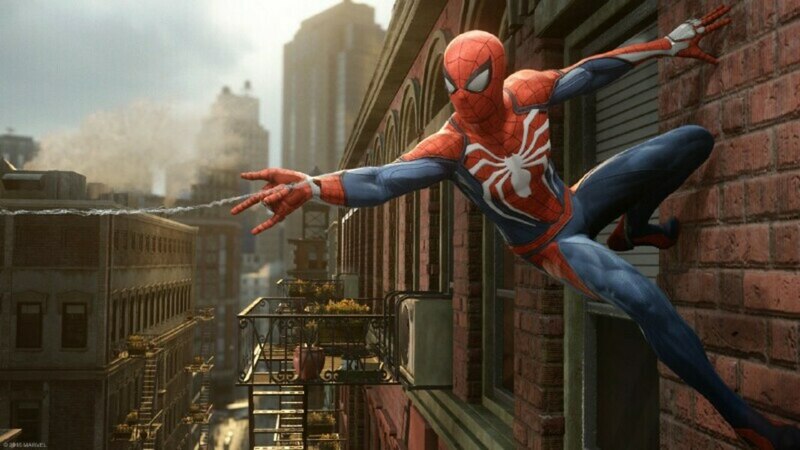 If you are referring to the gun Black Widow is holding in some of the images, that is not included with the figure, I added that. 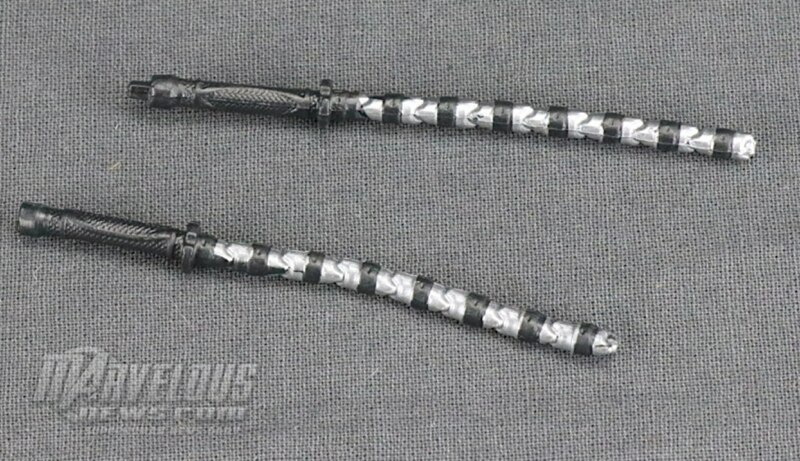 Widow simply comes with the same Batons the Infinity War version came with. I meant the Nebula one. 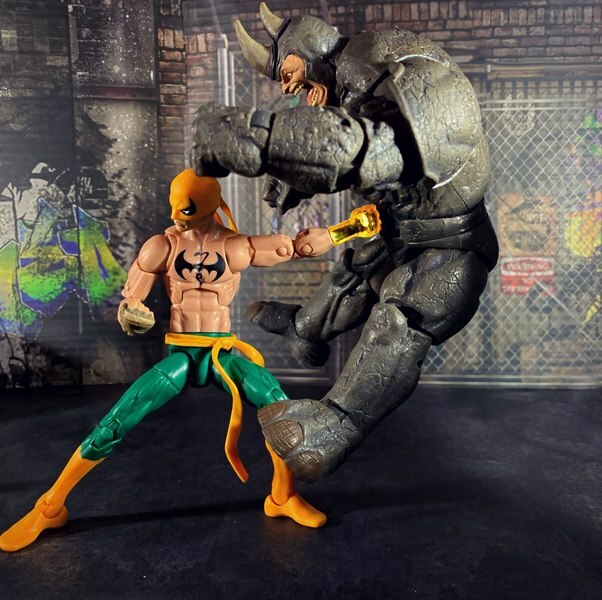 I don't own that figure so it is my first time seeing that weapon. 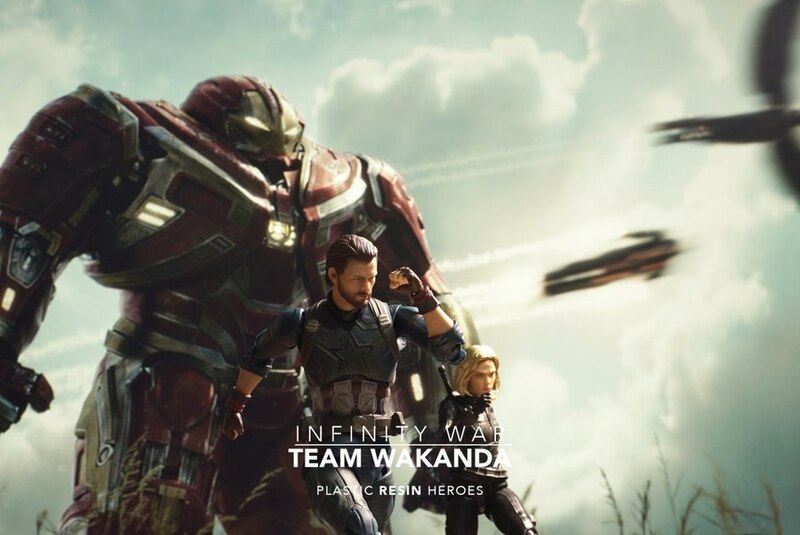 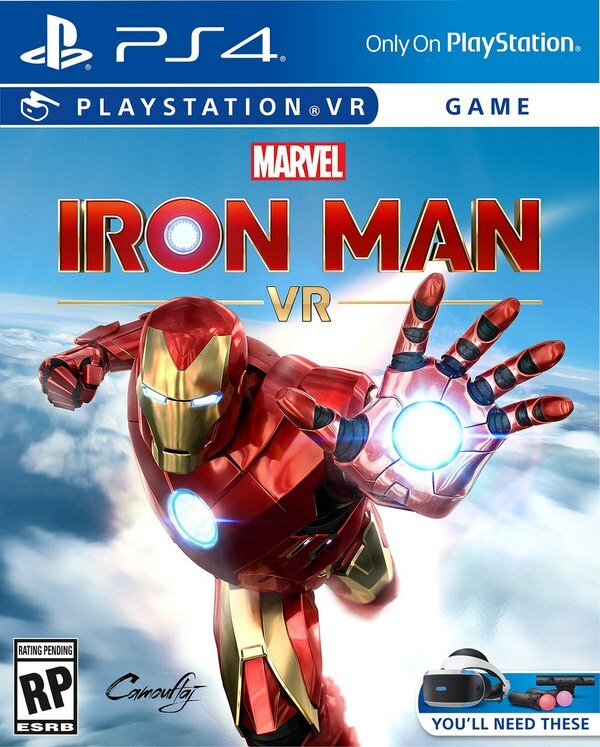 Was that in the movie? 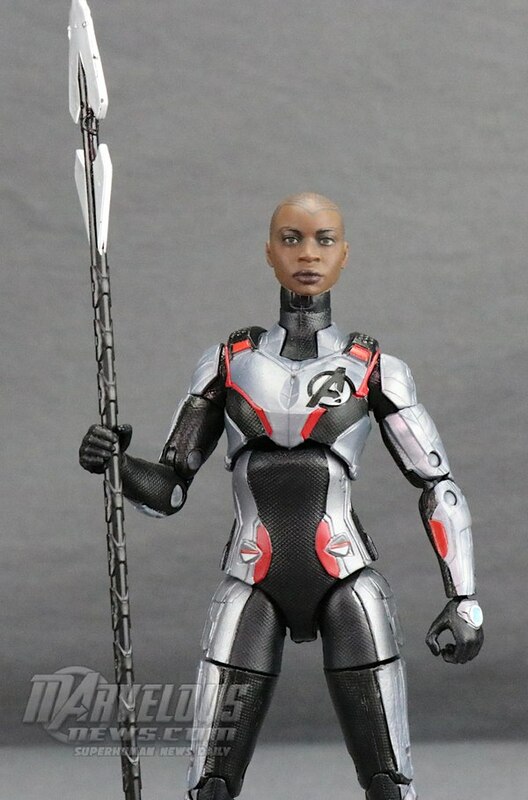 I don't remember her using that ever? 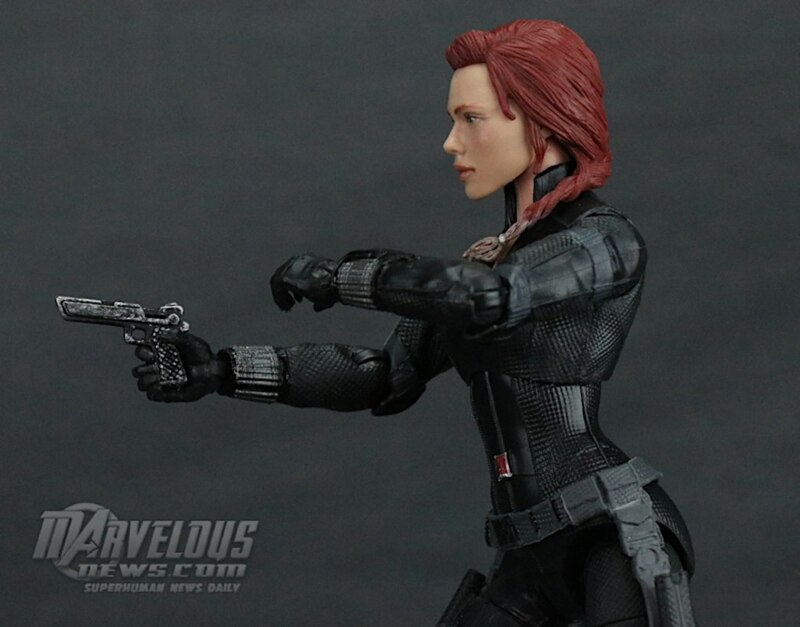 That gun accessory is.. odd. 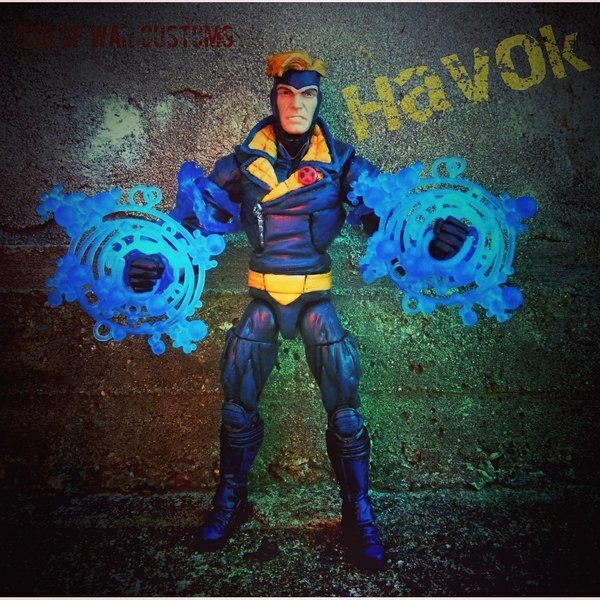 Thanks for the review JayC. 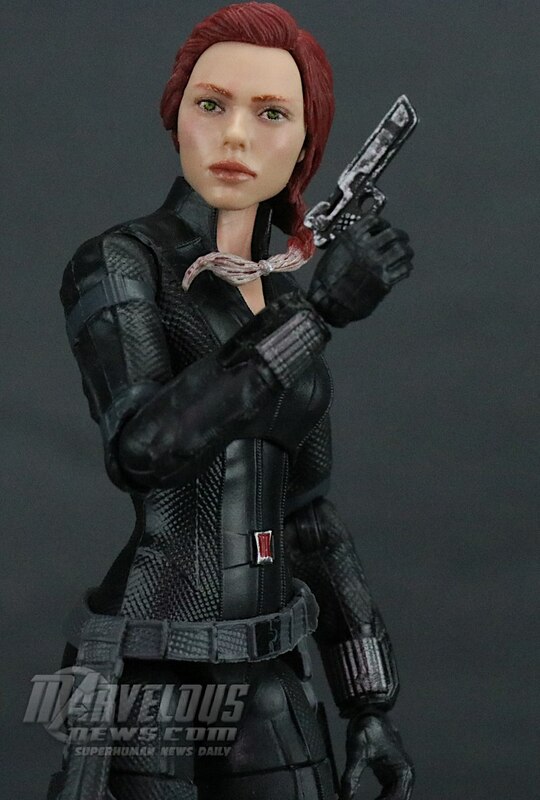 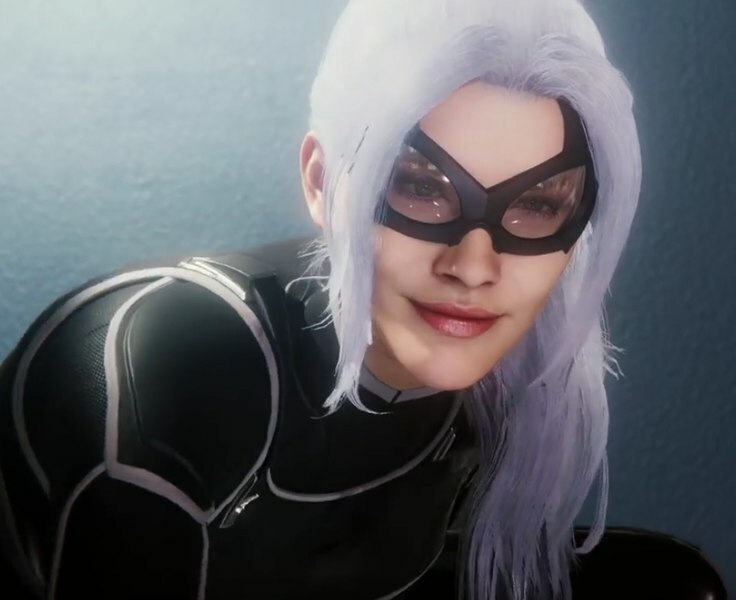 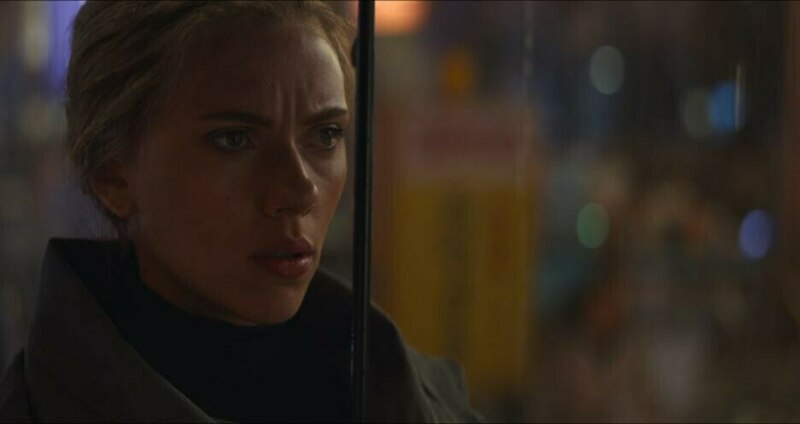 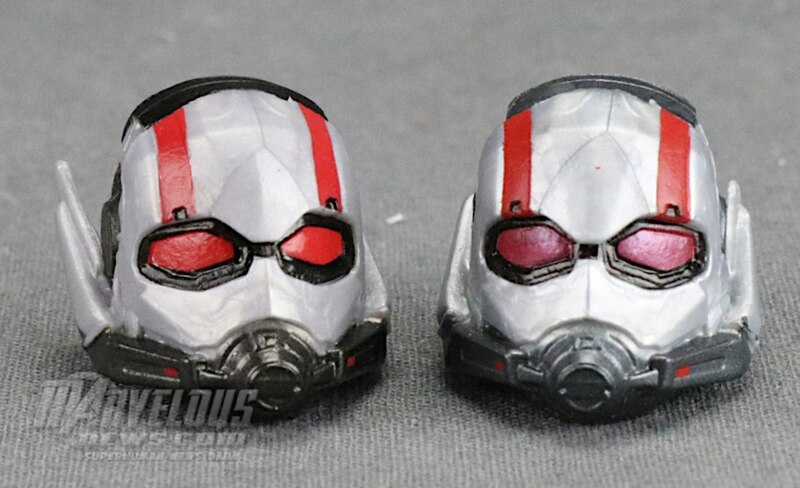 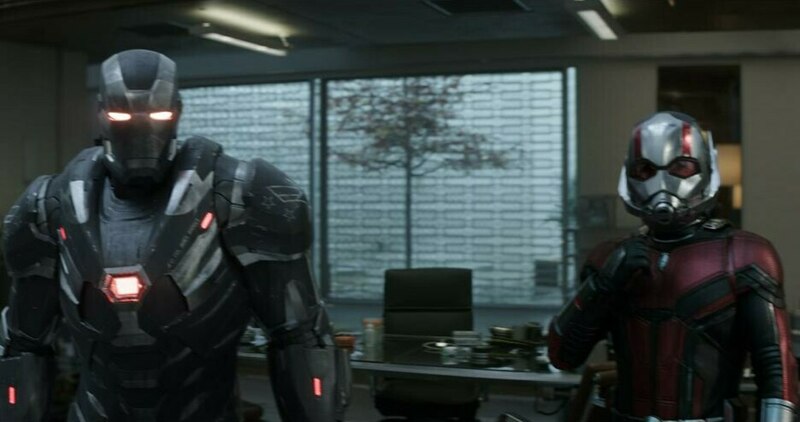 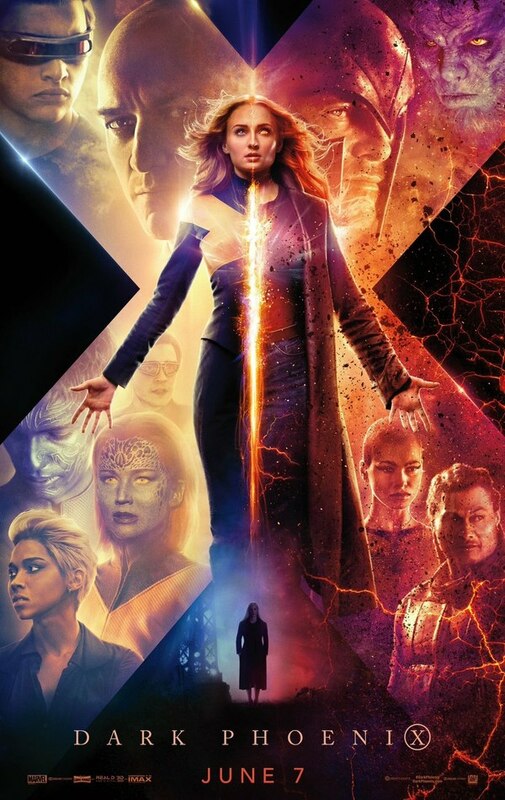 The white tip on Black Widows hair is from the trailer previews we saw, it should be blonde instead and I guess its from where her died blonde hair is now growing out red again. I think that gun is the same that came with the original Nebula, but maybe bigger and different color. 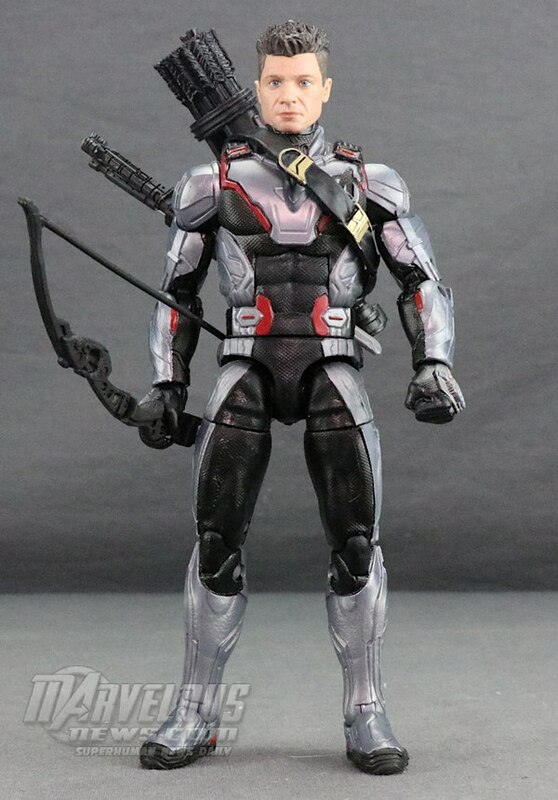 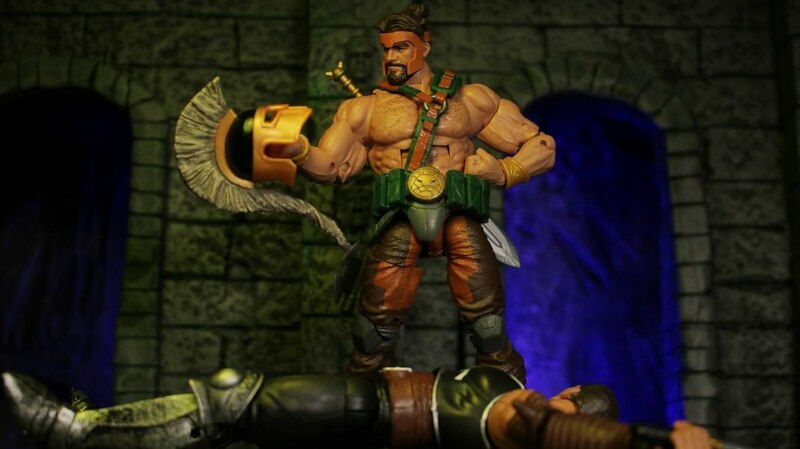 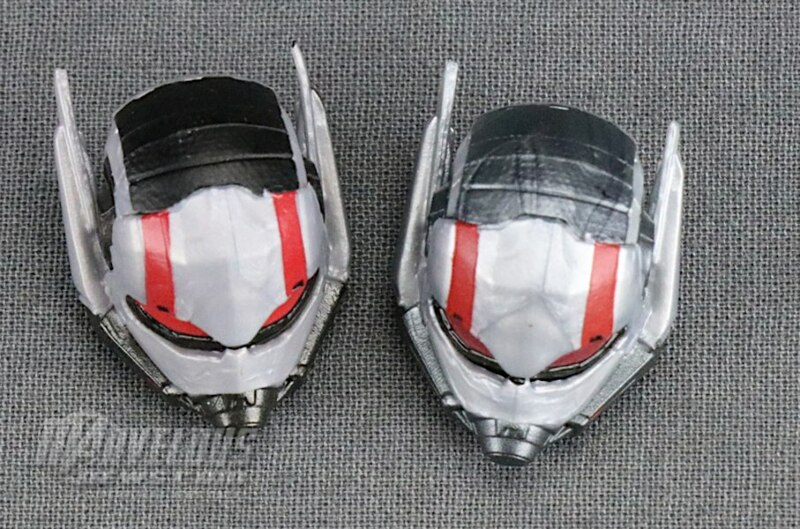 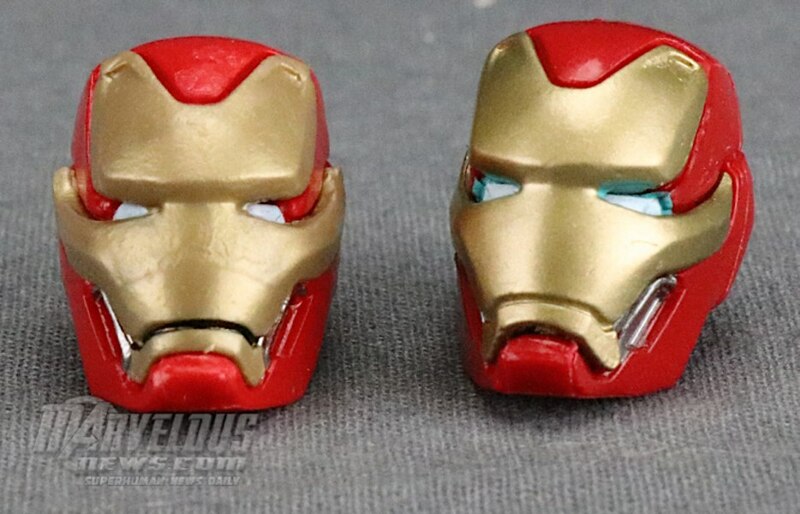 I wasn't going to get this 2 pack but now I'm wanting that Hawkeye head to put on Ronin. 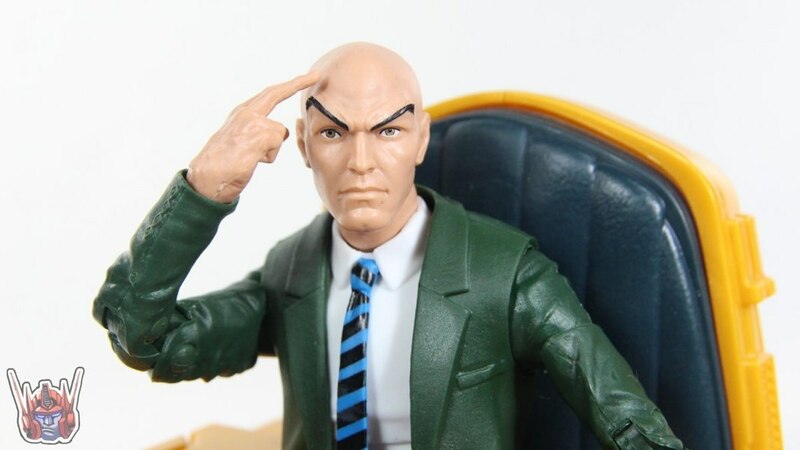 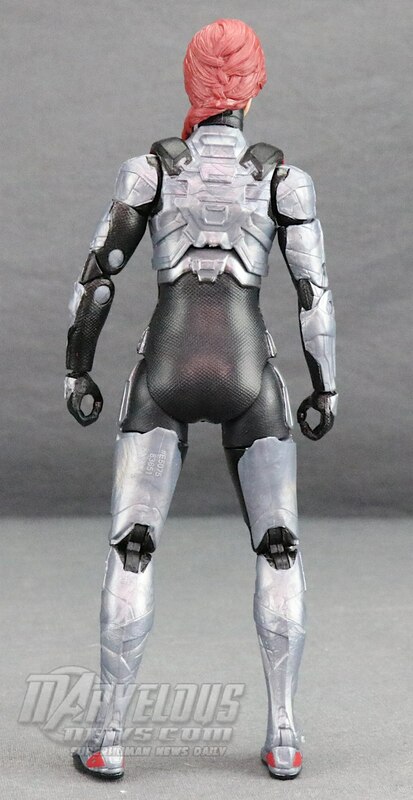 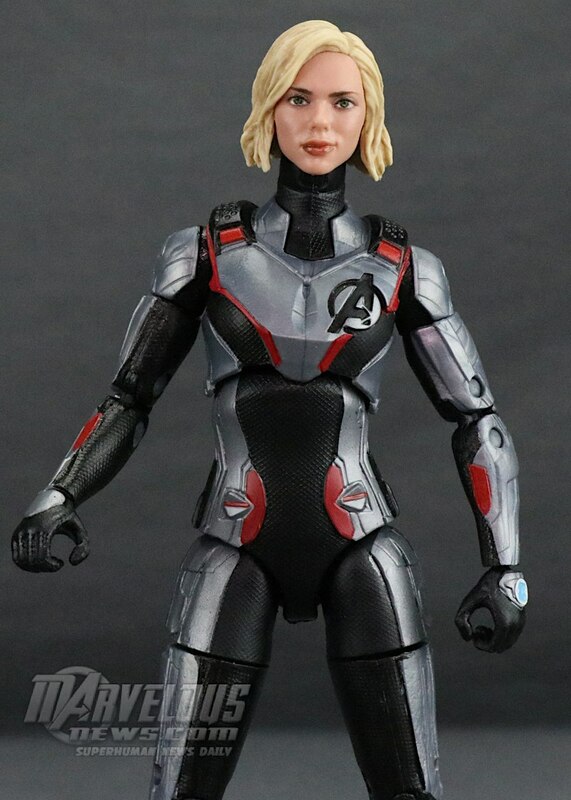 Yeah having seen the SH Figuarts version I see it should be blond hair. 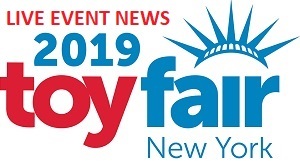 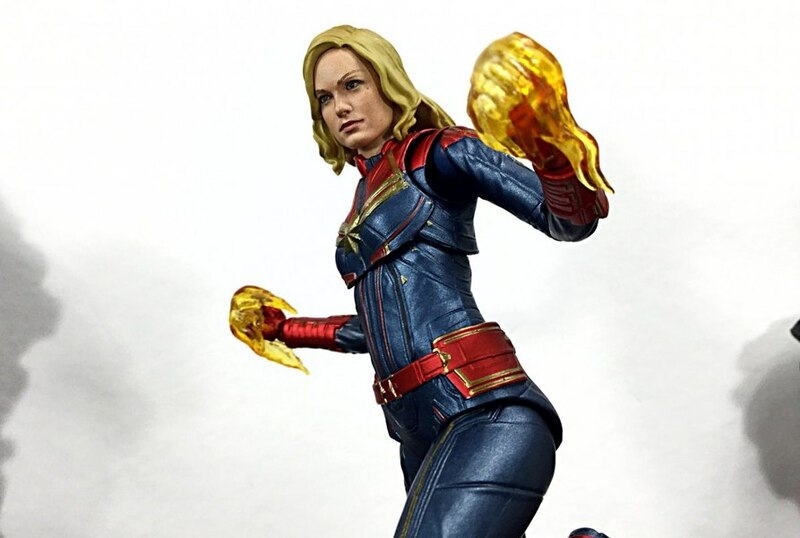 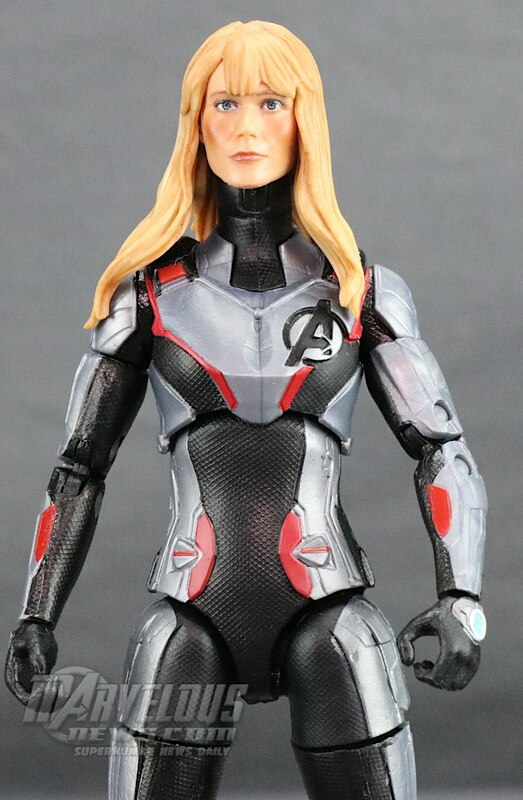 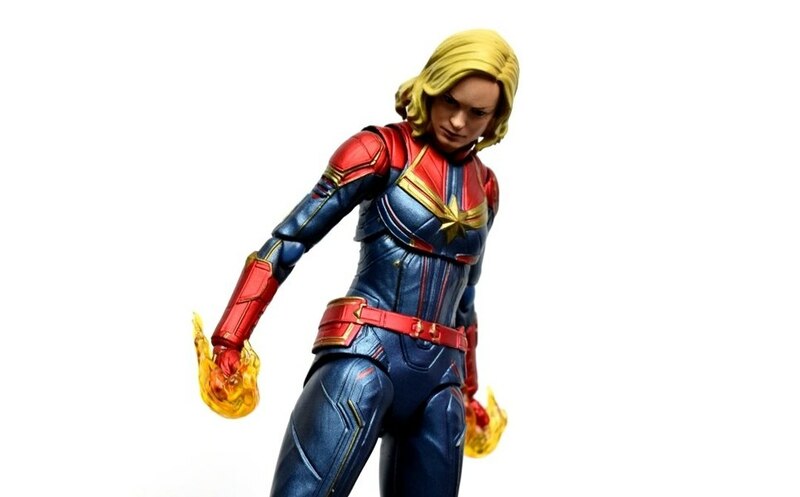 Hasbro def missed the mark with that as it looks more like she dipped her hair in powdered sugar or something than just having left the tip blonde color. 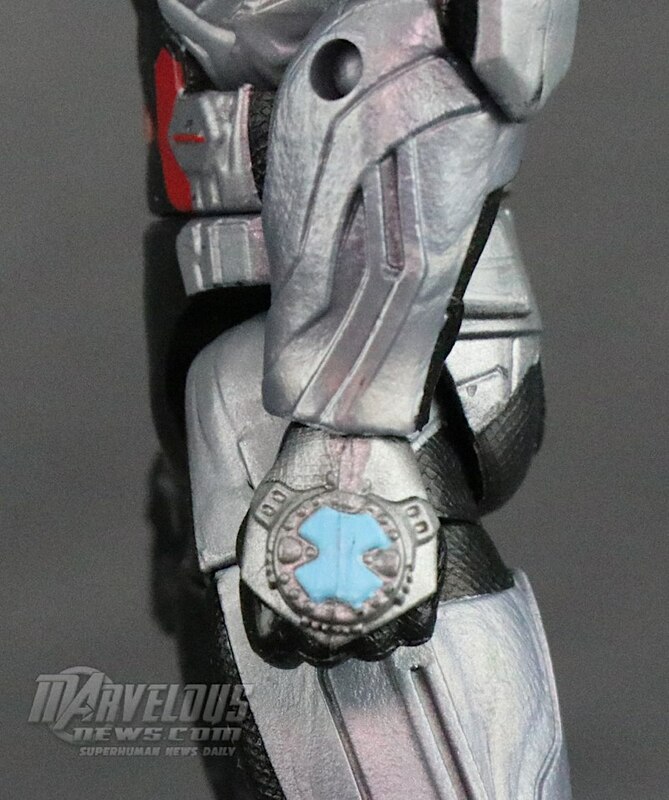 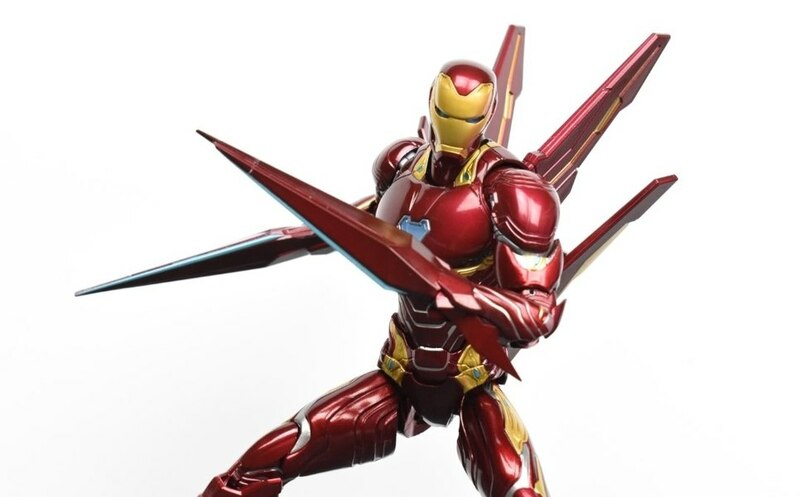 Tamashii did it much better.